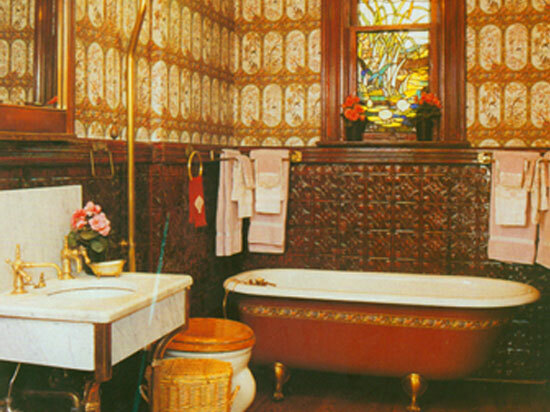 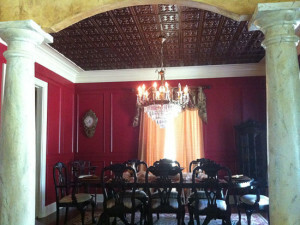 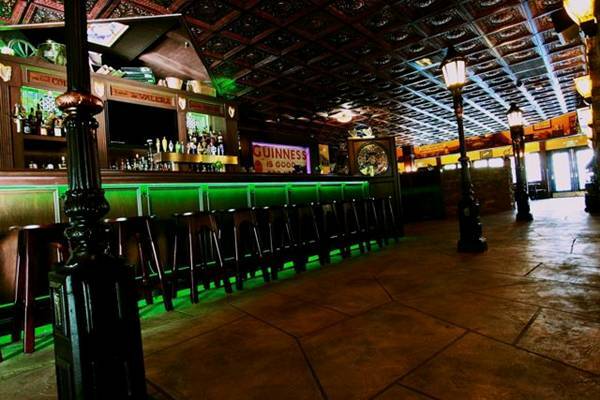 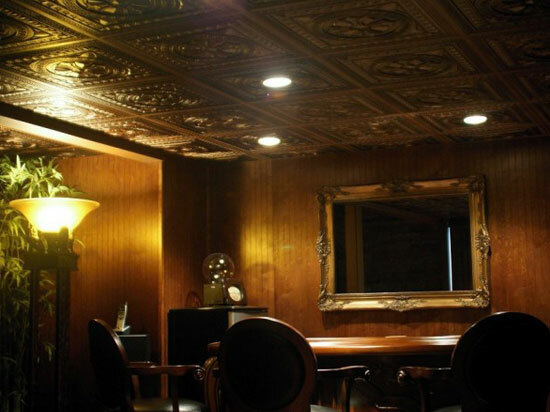 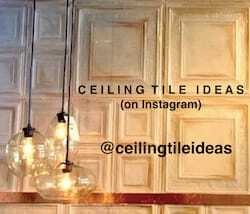 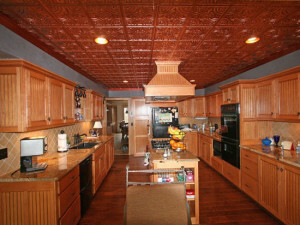 Solid copper ceiling tiles and aged solid copper tiles are often imitated but there is nothing like the real thing. 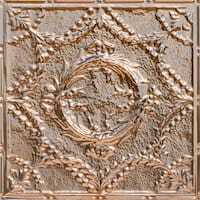 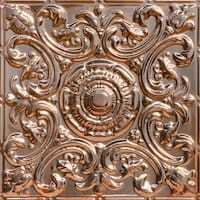 These solid copper ceiling tiles from Decorative Ceiling Tiles are not treated. 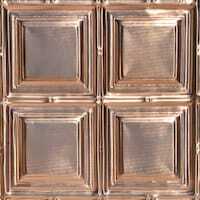 They arrive at your door like a shiny new penny and then will naturally age over time. Once they reach the color you like, you or your contractor can then seal them with a clear enamel. 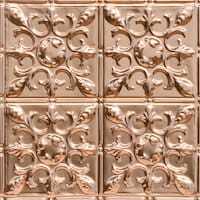 Sealing will prevent the solid copper tiles from aging any further and allow for easier cleaning in residential and commercial settings. 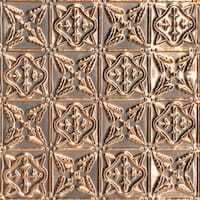 Polished copper, on the other hand, will also give you that desired copper look but make no mistake, it is not real copper. It is actually aluminum. 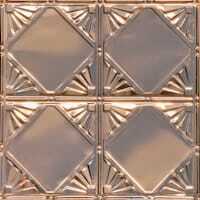 This product is perfect if you prefer the polished look of copper with a low maintenance finish. 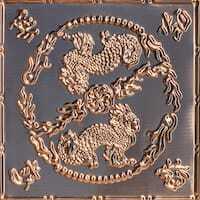 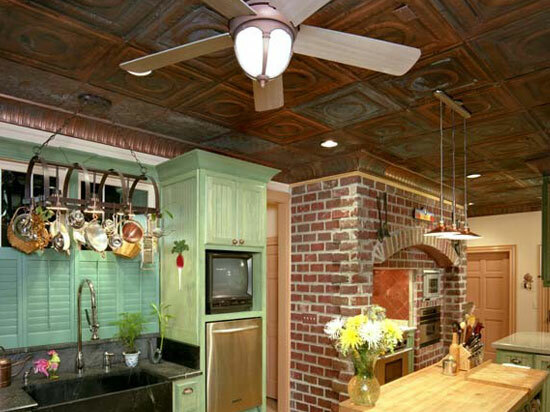 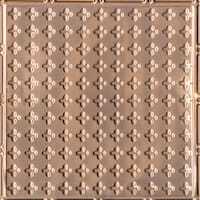 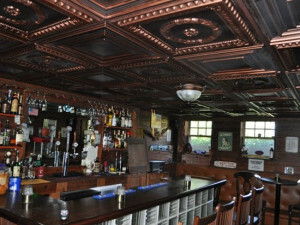 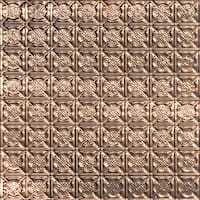 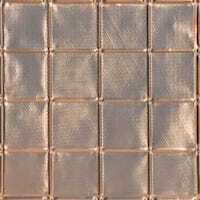 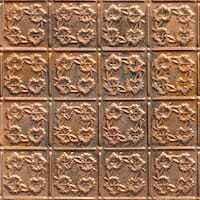 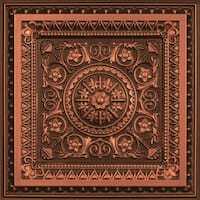 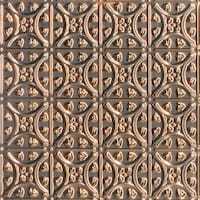 Faux copper is the most economical type of copper ceiling tiles available and, hence are quite popular. 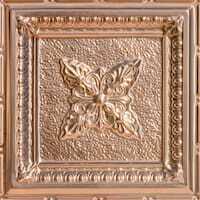 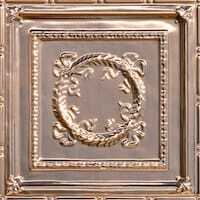 Decorative Ceiling Tiles carries two lines of products in this sub-category, PVC and Foam, and installation is very easy. 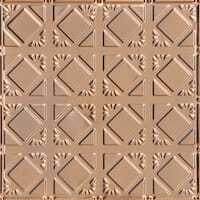 You can glue them directly to your ceiling to cover ugly ceiling blemishes or even popcorn ceilings or you can drop them into already existing ceiling grids. 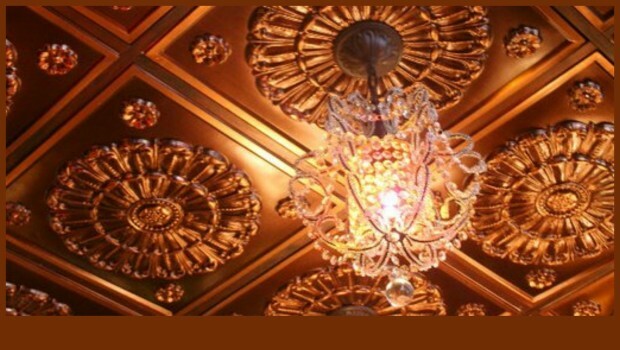 Remember if your ceilings are high enough, very few people will be able to discern the difference between faux copper ceiling tiles and the real thing. 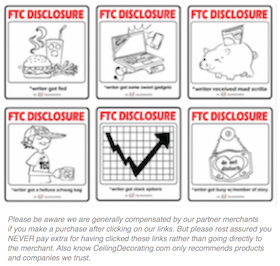 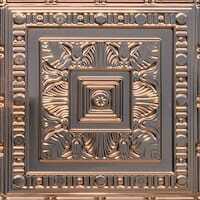 Here are just a few of the over 200 solid copper ceiling tile designs available. 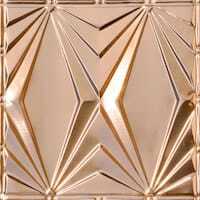 If you do not see the exact design you are looking for, feel free to call Milan at 1-866-297-0380 and he may be able to create a custom design especially for you! Be sure to tell him Marcia sent you. 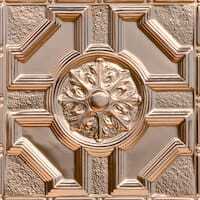 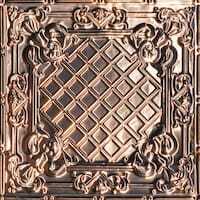 Click here to view more solid copper ceiling tile designs! 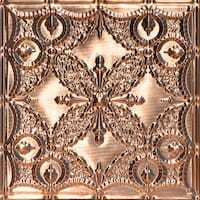 Summary: There are 3 types of copper ceiling tiles - solid copper and aged copper tiles, polished copper ceiling tiles & faux copper ceiling tiles. 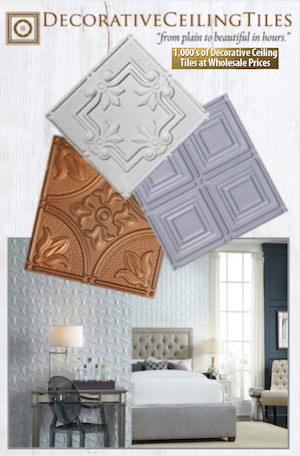 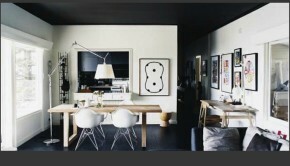 Learn the differences and see which material best matches your look and budget.